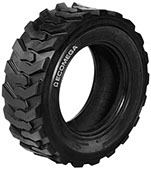 This Ecomega tyre is especially designed to optimize heavy equipment vehicles’ performances. Its next-generation tread guarantees greater stability and maneuverability, together with excellent road and off-road traction. The high natural rubber content compound makes this tyre more resistant and durable against cuts and other damages that its heavy conditions application may cause.